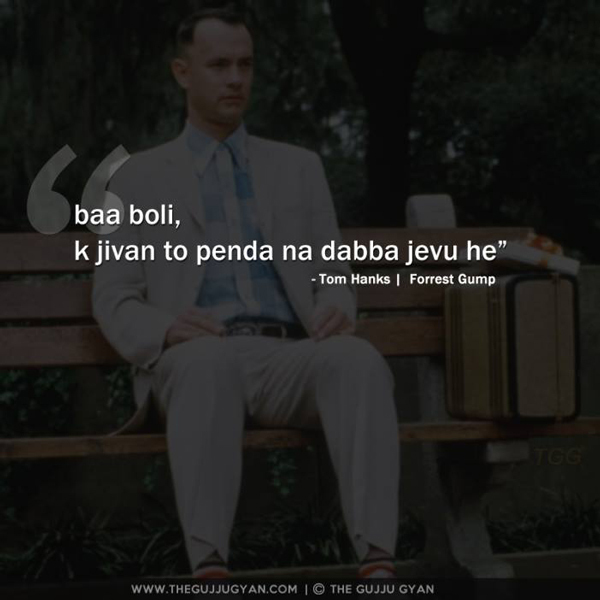 So, we often watch Hollywood movies in Hindi and laugh our hearts out at the terrible and mind-numbing translations. Bhojpuri films have added another quotient to these films by translating them in Bhojpuri and entertaining us. Now, imagine the same films in Gujarati! It sounds crazy right? Well, crazy is to put it very mildly. 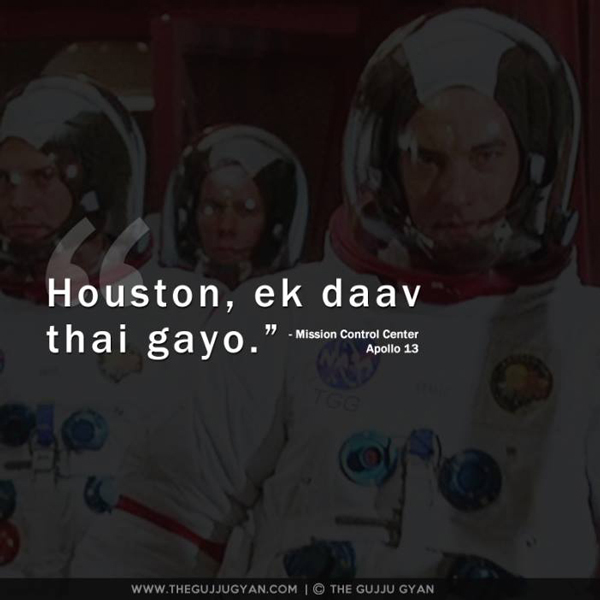 TheGujjuGyan has just managed to that and beyond. 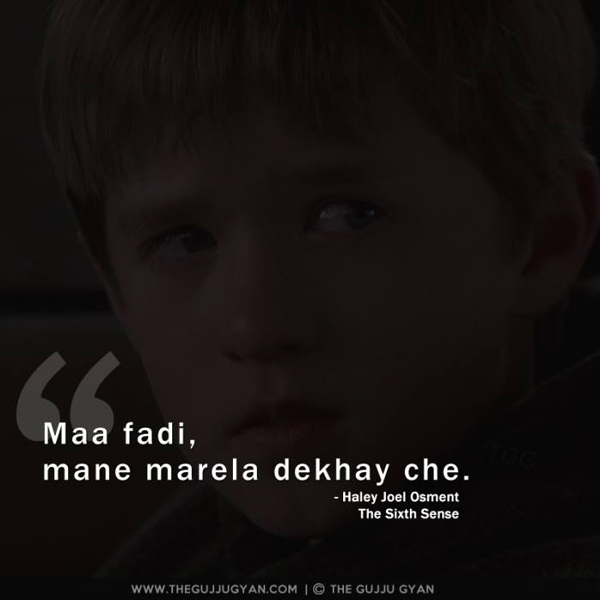 These guys have translated the most famous Hollywood dialogues in Gujarati and funny is just an understatement. It really takes a lot of imagination to and a twisted sense of humour to come up with something like this. 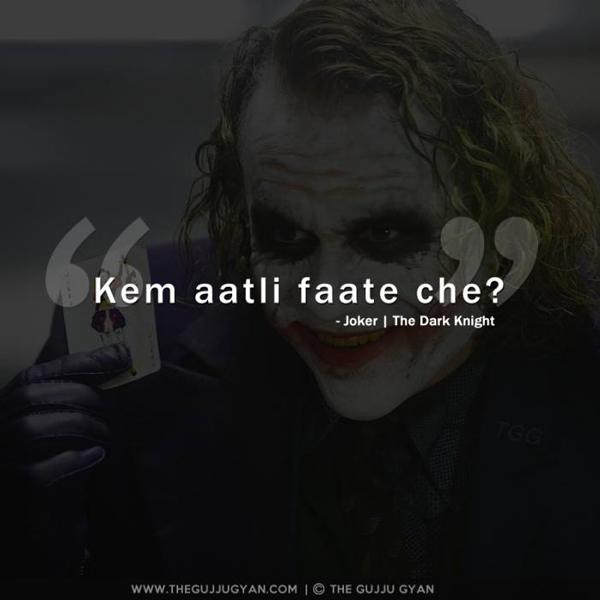 If you are a Gujarati or understand the language and if this doesn’t light up your day, we don’t know what will. 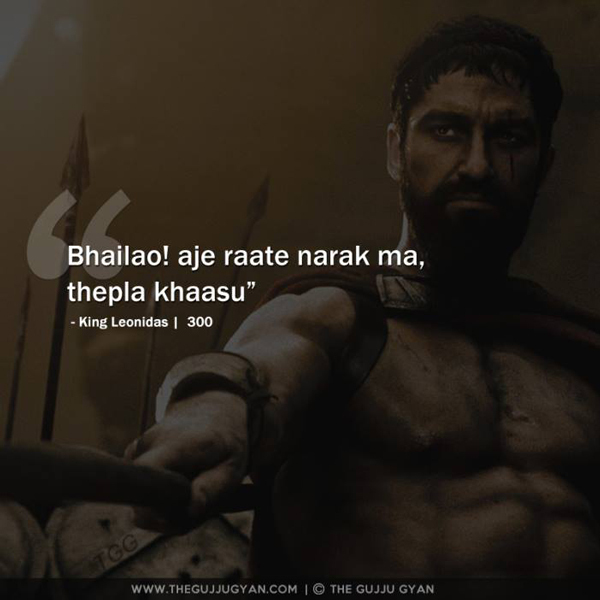 And 300 just got hilarious! As if Meet The Spartans wasn’t enough already! To take things further, for all we know the Spartans actually carried theplas and undhiyu in lunch boxes in the Gujarati version! Wow! 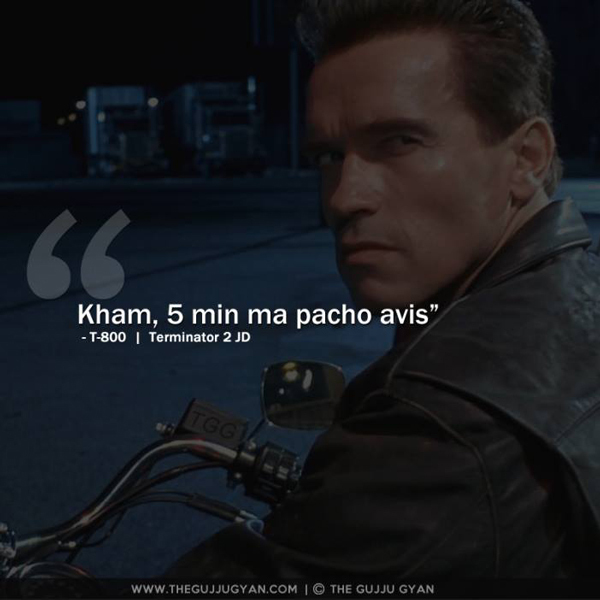 T-800 just became that Gujju friend we all have who makes us wait for ages! And just imagine this dialogue in Arnold’s voice. ROFL! Nailed it! 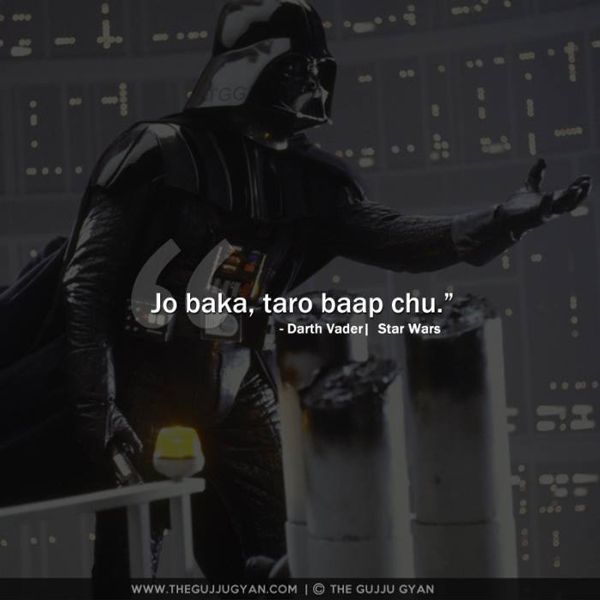 The typical Gujarati touch accompanied by literal translation, hilarious! Ha Ha! Probably every Gujarati can relate to this one. “Daav” is our version of “goof-up”. So aptly used here. Kudos! Describing this one is a sin. Just read and laugh till your stomach hurts! Finally! 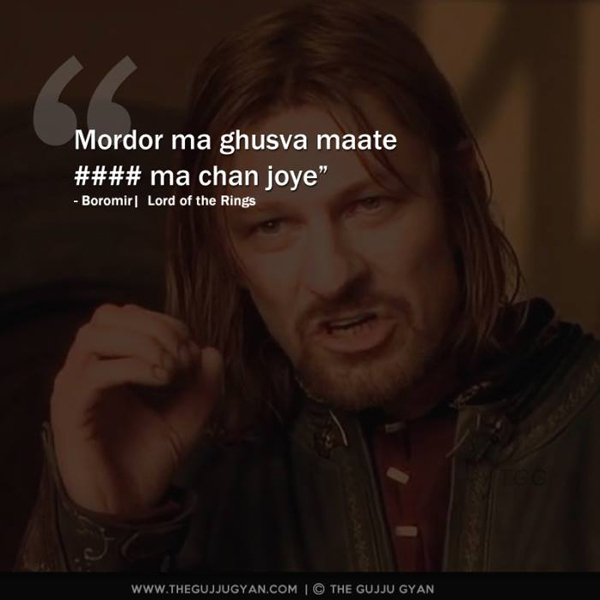 The legendary “Jo Baka” finds its place in translation and how! Gujaratis and pendas are synonyms! Using that analogy here is absolute brilliance and ridiculously hilarious! 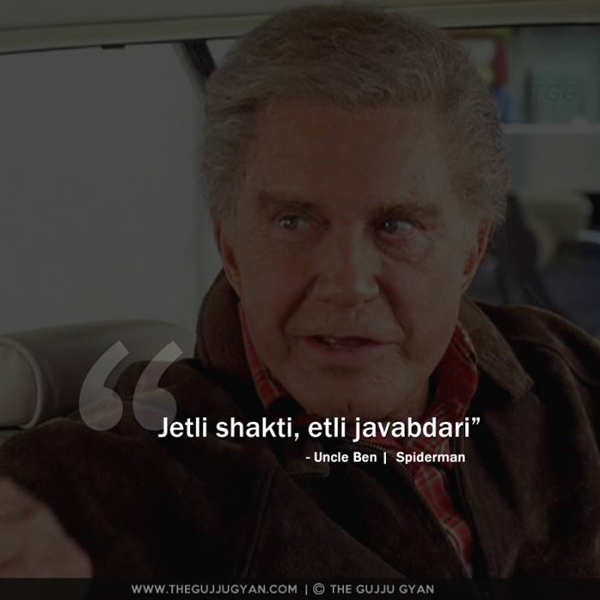 This is exactly how a Gujarati “kaka” (uncle) would have advised Spiderman. LOL! 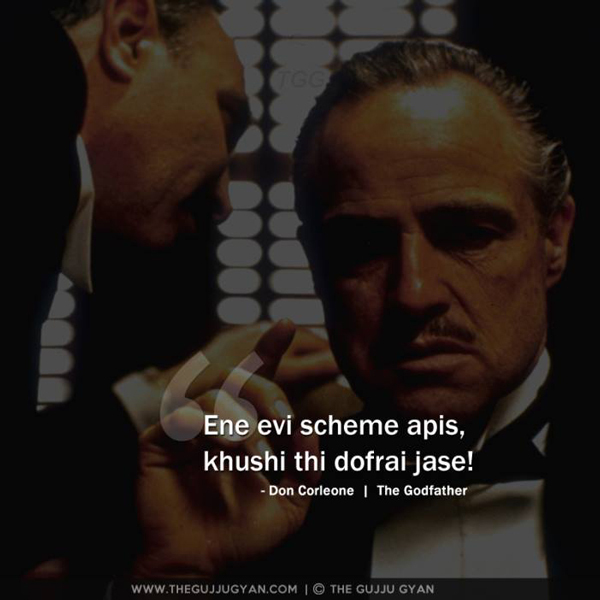 Gujarati businessmen and schemes go hand in hand. Marlon Brando, you cannot escape it! Have something similar or funnier to share? Please write to us and we will put it up.